Are you ready to learn more about the Fishbowl software? Fishbowl now has a Plugin module that lets users manage all of the plugins they currently have available. And one of those plugins is the Forecast module. This is a very useful feature. 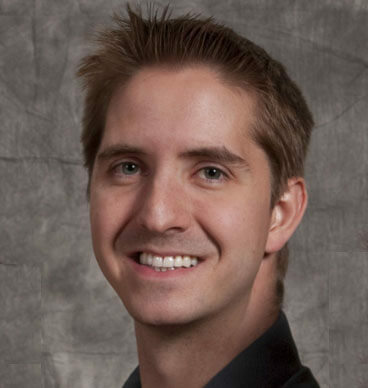 It allows you to use previous sales data to project what could happen in the future. 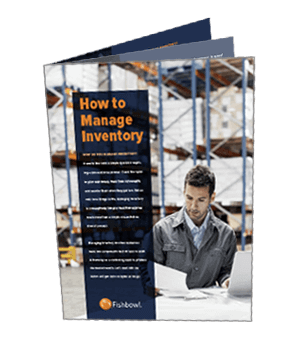 This helps businesses plan for their upcoming inventory needs. So let’s talk about how to install the Forecast module and how to set it up to get the information you need. It’s pretty easy to install the Forecast module. Just go into the Plugin module, select Forecast, and click Install. Then restart the Fishbowl Server and you should be able to find the Forecast module in the Accounting module group. Easy peasy. This is the most basic part. What do you want to measure – the total sales price or total cost of the inventory you’ve sold or the quantity of the inventory you’ve sold, scrapped, or consumed on work orders? By selecting a single part, you can track only that part’s sales, costs, and quantities used over time. If you want to see changes in all of your inventory just leave this field blank. To home in on a certain location group, simply select it in this field. Select <All> to look at all of your location groups, and click the Combine Location Groups box to group them all into a single graph instead of multiple ones. Constant Average – This puts a flat line through the graph at the data’s mean average. This clearly shows you the historical average, which could prove useful if you don’t expect much growth in the future. You can add a growth percentage to the forecast if you want to see not what the current trend is, but what you expect to happen as a result of an outside influence that the current data can’t predict. This is pretty self-explanatory. Set the date range you want the chart to cover. Line Graph – This has the data for each point represented by a dot, connected by a line, allowing you to compare each day, week, month, or year to each other. Accumulation – This also connects the dots, but it keeps piling data on top of itself so the result is a chart that shows the overall sales that accumulate over time. Scatter Plot – This is basically a line graph but without the line intersecting all of the data points. This is pretty important. You can choose if you want the data to be displayed by day, week, month, or year. This affects how the information will be presented and how much detail you’ll be able to see. Wow. That was a long one. Thanks for sticking with me. 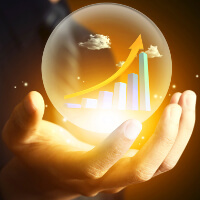 Fishbowl’s Forecast module is a fantastic tool for managing inventory and planning logistics.